Jared Unzipped: When I Was Really Fat: Ramen Noodles. "Boy, I sure do miss eating those." WHEN I WAS REALLY FAT. When I was really fat, I would eat four packages of ramen noodles at a time. I would prepare the ramen as normal in a giant pot, taking care not to over-boil the noodles. Once the noodles were ready, I'd drain them from their soup liquid and put them in a large bowl. Now, here's where things got a little bit wacky. I'd put the noodles in the freezer to sit for five or ten minutes. This would not decrease the temperature of the still hot noodles too much. But, what it would do was make the noodles sticky and tacky. Thereby, they were perfect to eat with chopsticks. Oh boy, were they delicious. And yet, I failed to recognize the harm I was doing to myself. Four packages of ramen noodles equates to over 1,500 calories! That's more calories in one meal than what I eat in an entire day now! 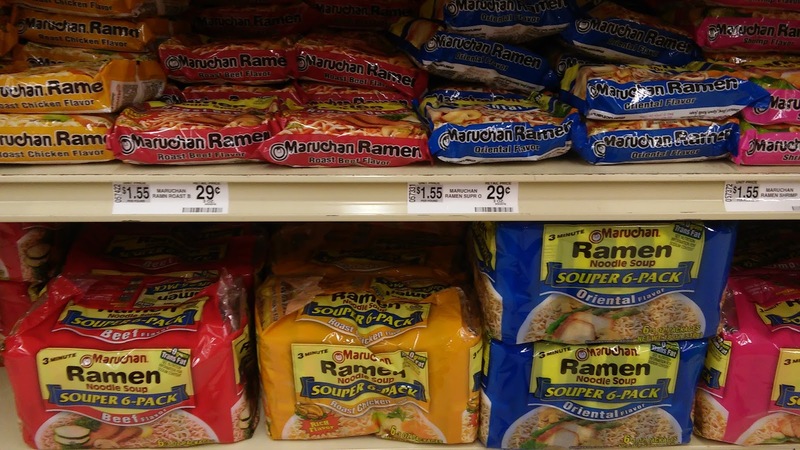 Even worse, all that ramen had over 7,000 mg of sodium and over 200 carbohydrates. What a terrible, terrible meal to put into your body. And yet, when I was at my fattest, I was doing that two or three times a week. It's a miracle I didn't die of a heart attack. So, what do you think? Want to hear more stories about the most absurd food I would eat when I was really fat? 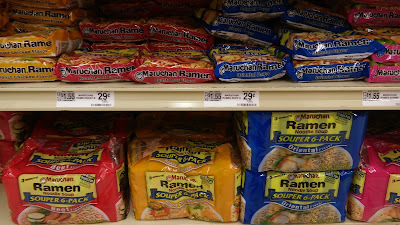 Trust me... this ramen story is only the tip of the iceberg! I find these tales both comical and sad, but it's great to get it off of my chest. Drop a comment and let me know.